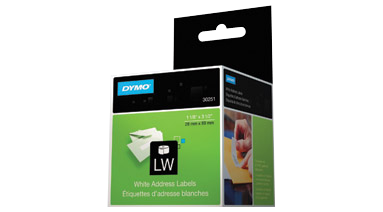 For use with DYMO® thermal LabelWriter® printers. Standard Address. 1-1/8 x 3-1/2. 130 labels per roll. 2 rolls/box. White.